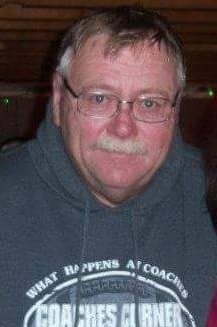 Dale E. Mesenbrink “Messy”, age 63, of Little Chute, passed away on Wednesday, July 11, 2018 with his family by his side. Dale was born on April 17, 1955 son of the late Arthur and Anne (Keisner) Mesenbrink. He is survived by his wife Donna, his children, Jeffrey (Angela) Hersh, Daniel (Kimberly) Mesenbrink and Kerri (Jason) Jameson; his grandchildren, Jeremy, Taylor and Faith Hersh, Cody Retzlaff, Hailey and Harper Mesenbrink, and River and Autumn Jameson. Dale joined his mother and father and brother Tom who preceded him in death. A celebration of life for Dale was held. For online condolences, please visit www.verkuilenfh.com. The family would like to thank Theda Care at Home Hospice for all the care they gave to Dale.